This piece was intended for the first EBSQ Flower of the Month show. Due to a lot of things going on at that time including pregnancy, graduate school and my first teaching job, I never did finish this. After over 3 years, I'm pretty sure it will remain unfinished. However, I really would like to revisit this subject in a different direction another time. The models I used for this piece were daisies purchased at the florist's shop, and my interest really lies with native flowers. 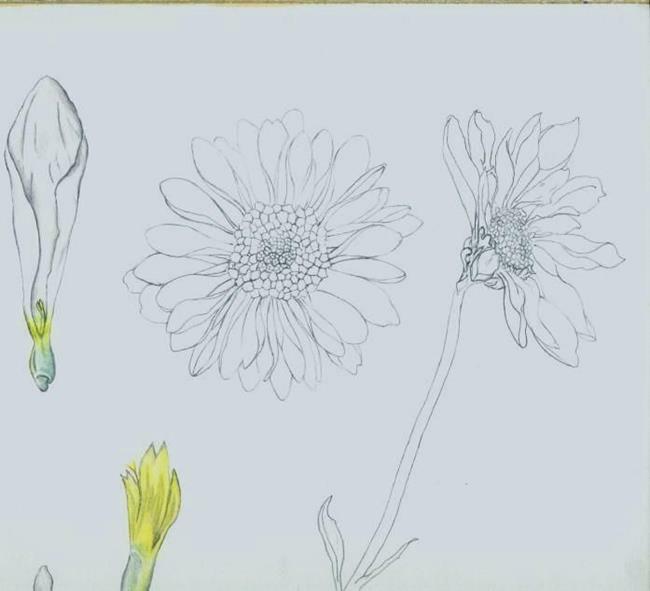 I'd like to do a drawing that shows similarities between the common ox-eye daisy, Chrysanthemum leucanthemum and these more showy counterparts.